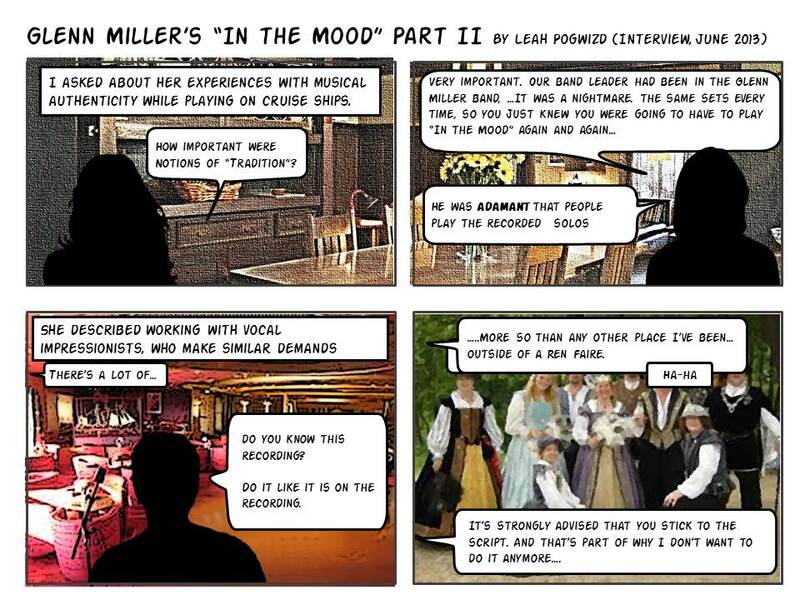 This series is based on something that surprised me in my interviewing – without prompting, almost every one of my informants mentioned the Glenn Miller song “In the Mood” – albeit in very different ways. I wanted to illustrate some of these vignettes to illustrate a larger phenomenon. While my informants mentioned a lot of the same themes, they arrived at these themes through very different ways. Part I illustrates the ways in which musical recording technology shapes live performance practices, specifically the ways in which audience expectations hinge on fidelity to the original recording (i.e. the audience’s notions of “authentic”). 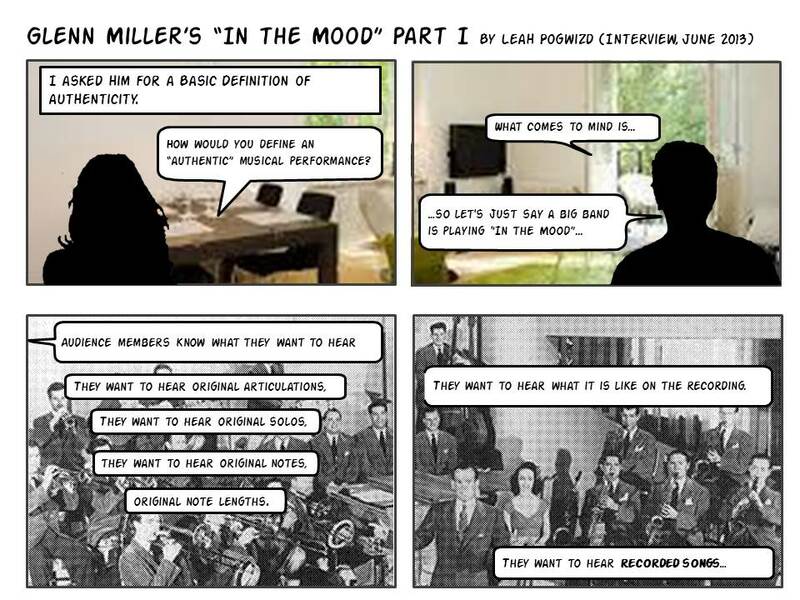 Part II also illustrates the ways in which musical recording technology shapes live performance practices, but addresses how this phenomenon determines professional practices and limits artistic expression/creativity.